Kat Mercer has more than thirty years’ experience in faith formation leadership. She has worked with programs for children, youth, families and adults at the congregational, diocesan and provincial level, and is an enthusiastic advocate for intergenerational formation and supporting families in faith formation at home. Kat has a passion for the liturgy of the Episcopal church, which is reflected in the worship experiences she creates in Children’s Chapel settings. Kat completed the Certificate in Leadership in Lifelong Christian Formation in 2018 and is a member of the first cohort of Godly Play Missioners. Currently Kat serves as Chaplain at St. Luke’s Nursing Center, a ministry of Grace Episcopal Church in Carthage, MO, where she incorporates Godly Play into her ministry, and provides consultation and support in children’s ministry for congregations. Learn about the Family Table (a 35-minute service at St. Thomas’ Church, Whitemarsh/Fort Washington, PA) geared for families with young children and a few other examples of liturgies that include age-appropriate, tactile, experiential, and paperless components that change with each liturgical season. Explore how portions of the liturgy can become more incarnational and sensory for worshippers just learning how to read. Receive ideas for how to create this type of liturgy in your home church and leave with a deeper knowledge of how space, liturgical piety, prayer book rubrics, staffing, and diocesan canons on worship inform varying approaches. Liz Costello has helped three parishes craft services geared for families with young children over the last five years of her ordained ministry. All of these churches varied in size, space, resources, piety, and ASA (St. Thomas’ Church, Whitemarsh, PA; Christ Church, Ridgewood, NJ; and St. John’s Cathedral, Denver, CO). She brings nine years of lay and ordained ministry working in formation for all ages as well as a Master of Sacred Theology in liturgy from Yale Divinity School. Catherine Powell has experience with children and their families including leading camps and conferences in three dioceses, writing curriculum for Living the Good News, serving as chaplain to the National Cathedral School in Washington, DC for 13 years and as early childhood chaplain to Washington Episcopal School for two years. She has extensive training in the Catechesis of the Good Shepherd, consultation with congregations using Godly Play, Board membership of The Center for Children and Theology, and more than twenty years in parishes big and small. Leaders: Vicki Garvey has a passion for learning and teaching, and unsurprisingly, for the Church. In her professional career she has taught at nearly every level from 2nd graders through graduate school, but she has spent most of that teaching time at Seabury-Western Episcopal Seminary, where she taught biblical languages and biblical theology, her doctoral area. Vickie served at the Diocese of Chicago’s Bishop’s Associate for Lifelong Christian Formation. These days, she serves on two faculties for the wider church, consults with a couple of dioceses concerning congregational vitality and continues to speak, facilitate workshops and lead retreats. Meredith Scott is Director of Youth Ministry, Holy Trinity Episcopal Church, Greensboro, North Carolina. She specializes in building “Volunteer Hearts.” By leading youth through volunteer/leadership programs, she walks with them on their spiritual journey as they create a foundation that finds great joy and peace in serving others, living as Christ lived. Meredith leads annual pilgrimages for youth and adults, as well as an annual mission trip. Randall Curtis is the Evangelist and Ministry Developer for Young Adults and Youth and in the Episcopal Church in Arkansas. Randall’s focus with the Certificate program is program development, marketing your ministry, communication and peer discipleship with teenagers and young adults. He also coordinates the online platform as well as the acceptance process.Randall is also the holy geek at Theholygeek.com. Leader: Ethan Lowery is a trainer with the College for Congregational Development and has served as a youth minister in the suburbs of the San Francisco Bay Area for the past three years. He is a postulant in the Diocese of California, a seminarian at CDSP in Berkeley (MDiv, c/o 2020), and a church consultant in the Bay Area. Structuring Conversations with Youth around Racial Healing: Why and Where to Start? 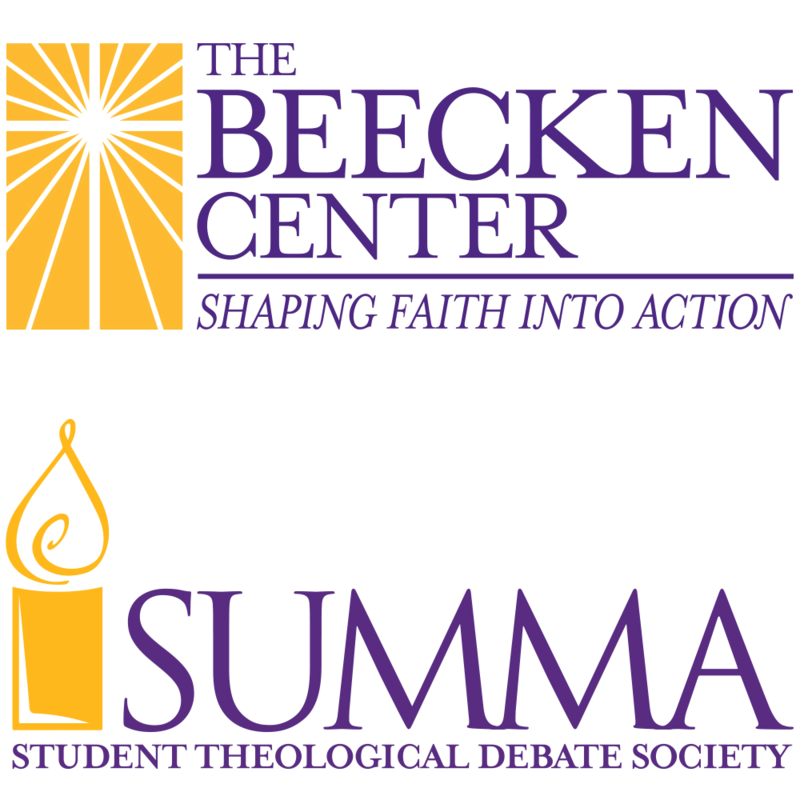 Leaders: Katie McRee and Sally Ulrey are co-authors of Dismantling Racism Youth Curriculum, created in collaboration with the Absalom Jones Center for Racial Healing and the Office of Youth Ministry in the Diocese of Atlanta. After earning her degree in Family, Youth, and Community Sciences from the University of Florida, Katie worked in full time parish youth ministry for almost 14 years. Katie is also a consultant for Ministry Architects. After receiving her degree in Christian Education/Youth Ministry and a minor in Counseling Psychology, Sally has worked professionally as a parish youth minister since 2003, and has been a trainer and consultant for various youth ministry-related events. Sally and Katie recently partnered to form “Adventures in Youth Ministry” which provides support to parish youth ministries through training and custom-made youth ministry experiences. Leaders: Amy Cook is the Working Group Head for Faith Formation in the Diocese of California where she creates resources and trainings for adult learners, works with the college chaplaincies, is redesigning curricula with the School for Deacons, and works with the Commission on Ministry in designing formation and process materials for those in discernment. Ian Lasch is the rector of Grace Episcopal Church in Jefferson City, MO, in the Diocese of Missouri. He serves on the Diocesan Board of Examining Chaplains and the Diocesan Baptism Task Force, and is emphatic about the importance of discernment and formation in the life of the Church, for the benefit of the Body of Christ and all its members. Leaders: Dorothy Linthicum has studied and taught courses and workshops about older adult spirituality and ministry at the Virginia Theological Seminary, conferences, and diocesan events. A contributor of chapters about older adults for The Seasons of Adult Formation and a special issue of “Lifelong Faith Journal,” she has become a known expert on the spirituality of older adults. Janice Hicks is a chaplain and recently permanent deacon. She received a Ph.D. in chemistry from Columbia University and worked as a professor of chemistry at Georgetown University and then at the National Science Foundation. Dorothy’s and Janice’s book Redeeming Dementia: Spirituality, Theology, Science (Church Publishing) was published in November 2018. Leader: Heidi J.A. Carter is the new Lay Minister Associate to the Rector at St. Paul's Episcopal Church in Kansas City Missouri, and co-author of the Young Adult Module of These Are Our Bodies. She has also been a consultant and trainer with LeaderResources, primarily around issues of Staffing, Adult Formation, and The Journey To Adulthood Parish Program of Spiritual Formation for over twenty years. Leader: Victoria Hoppes is the Camp Director at Waycross Camp and Conference Center and the Coordinator of Ministries With and For Youth for the Diocese of Indianapolis. She holds a B.A. in Dramatic Media and Theology from Texas Lutheran University and an M.A. in Children, Youth, and Family Ministry from Luther Seminary. She also holds a certificate in Youth and Family Ministry from Forma's certificate program. She lives in Bloomington, Indiana with her cat Toby and enjoys reading, baking, binge-watching comedy on Netflix and travelling. Visit her website for ministry musings and to see a portfolio of her work: www.ministryincontext.com. Leader: Hannah Graham has served Episcopal parish communities in in a variety of Christian Formation roles for 15 years. A gifted Godly Play storyteller and youth mentor, Hannah utilizes her knowledge of child and adolescent faith development in the classroom, and also in executing big picture planning shaping Christian community. Hannah has led the Education for Ministry Program as a trained mentored for 4 years, and regularly contributes to Diocesan events, camps, retreats, and committee work. She is recognized for her innovative use of social media to integrate liturgical seasons, parish programs, music, faith at home activities and outreach. In addition to the spiritual formation of St. Andrew's Episcopal Church in Glenwood, MD, Hannah devotes herself to growing in faith as a beloved child of God, wife and mother of three boys, ages 7 months-5 years old. Leader: Zack Nyein is the Associate Rector for Evangelism and Children and Youth Formation at All Saints' Atlanta and the former Director of Worship and Music at Tyson House Episcopal-Lutheran Campus Ministry in Knoxville, TN. A trained music educator and composer, he planted Project Canterbury Campus Ministry in Chattanooga, TN and developed ancient-future worship experience. He founded Table-on-the-Green Dinner Church, drawing extensively on resources from “Music that Makes Community” and as a Yale Divinity School chapel minister. A liturgist and musician for Genesis Episcopal Church Planting Conferences, he was a leader for Contemplative Worship Workshop at EYE 2017, conference leader for the "Reimagining Church" series in the Diocese of Southern Ohio, and an EYE Music Team Member in 2008. Zack currently serves the Task Force for Prayer Book and Liturgical Revision established by the 2018 General Convention. Leader: Angela Compton Nelson is the Minister of Christian Education and Youth at the Church of the Holy Family in Chapel Hill, North Carolina. She is an ordained Elder in the Church of the Nazarene. Angela oversees the Christian formation of young people at Holy Family beginning with the baby and toddler nurseries and through high school. She oversees formation for students and their families in Sunday School, at-home faith formation, Confirmation, Acolytes, all-parish events in various seasons, Episcopal Youth Community (EYC), and Vacation Bible School in the summer. Leader: Sharon Ely Pearson is a Christian formation specialist, author, and editor with Church Publishing Incorporated. A mentor / trainer of acolytes in her home congregation in Wilton, CT, she was one of the first female acolytes in the Episcopal Church in Connecticut when women were first “allowed” to serve at God’s altar many, many years ago. And she still dons a red surplice on occasion to serve alongside an acolyte-in-training. Leader: Sue Van Oss has been a Christian Formation minister for over 30 years and is presently Director of Christian Formation at St. Paul’s Episcopal Church in Duluth, MN. At St. Paul’s she has transitioned the congregation from a traditional “Sunday School” approach to a very successful model which centers on intergenerational ministry, midweek faith formation (which has resulted in significant increases in attendance) and bringing the seasons of the church year into the homes of the congregation. She received her Master’s Degree in Pastoral Studies from Loyola University, Chicago. Why is it So Hard to Talk about Faith? Leader: Kit Carlson is the rector of All Saints Episcopal Church-East Lansing, MI, and author of the recently-published "Speaking Our Faith: Equipping the Next Generations to Tell the Old, Old Story" (Church Publishing). Based on her research with people under 40 in her congregation she developed a way to use intimate, small group conversations to help people better articulate their faith. Children and youth are hungry to do more and believe they can change the world. Learn how St. Thomas the Apostle Episcopal Church has successfully developed a continuum of education and experiences that lead children from initial exposure to the needs of the communities that surround them to deep hands-on and personal engagement with individuals experiencing need. Leaders: Barbara McCall, Director of Children and Families and Kelly Demo, Associate Rector at St. Thomas the Apostle Episcopal Church in the Diocese of Kansas. Barbara is a 15-year veteran primary school educator with a Master of Arts in Education from Baker University who enjoys expanding her experiences in developing and implementing Christian Education programming and experiences for children. Kelly has worked in youth ministries for most of her 21 years of ordained ministry, serving as diocesan coordinator for both Kansas and Arkansas as well as several churches. She has developed curriculum and youth programs one of which, “Miqra”, has been published by Leader Resources and is used in several diocese around the country. Leader: Jamie Martin-Currie is the Missioner for Christian Formation at the Episcopal Diocese of Texas where she develops new children, youth, and family ministers, oversees the diocesan youth ministry, and trains consultants to assess ministries in congregations. Before joining the Diocese, Jamie led the children’s ministries at St. Bartholomew’s, New York and St. Martin’s, Houston. She is a former president of Forma and serves on the Youth and Children’s Certificate program faculty. Leader: Kyle Matthew Oliver is an Episcopal priest and an EdD student in the Communications, Media, and Learning Technologies Design Program at Teachers College, Columbia University. Previously he served as digital missioner in the Center for the Ministry of Teaching (now Lifelong Learning) at Virginia Theological Seminary, where he developed the e-Formation Learning Community. His research, teaching, and practice focus on how we make meaning by making media in faith and faith-adjacent settings. He lives in San Francisco with his wife, Kristin Saylor. Leader: Rev. Carla E. Roland Guzmán, PhD, is senior pastor at the Episcopal Church of Saint Matthew and Saint Timothy in New York City. 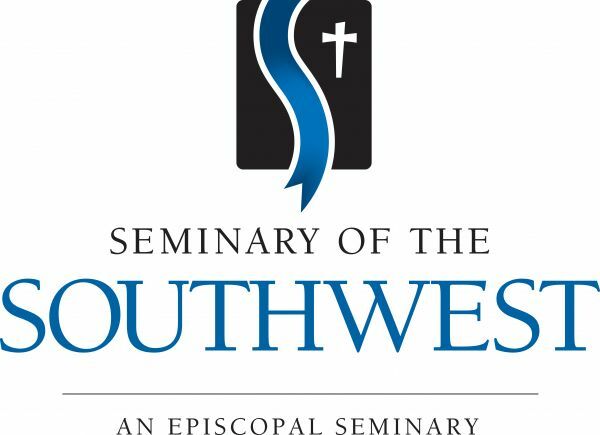 SMST is an outreach- and community-focused congregation composed of committed persons that are monolingual and bilingual, multi-racial and multi-cultural, aging, diverse in terms of sexuality and gender identity, and mostly of limited financial means. Rev. Roland is also an Affiliate Faculty member in Church History at General Theological Seminary, and coordinates the Faith, Family, Equality: The Latinx Roundtable of the Center for LGBTQ and Gender Studies in Religion. The Roundtable “strives to promote understanding, acceptance and affirmation of Latinx LGBTQ+ persons and their families by producing materials that transform Latinx families and communities, Latinx faith communities and the wider church, and help LGBTQ+ communities be more inclusive of Latinx persons. Rev. Roland was profiled in June 2018 as one of NBC Out #Pride30’s initiative. Rev. Roland is looking forward to the publication of a book on Latinx Ministry and the Episcopal Church in the Fall of 2019. Experience a taste of the Diocese of Michigan’s “Universal Safe Church” training that was developed locally in response to the 2015 General Convention mandate to update the model policies for safe church guidelines. Two programs, “Universal” and “Specialized,” are designed to foster a culture of safety and inclusion for all people. The Universal course raises awareness of issues for children, vulnerability, power, and healthy boundaries so that all people can live out their Baptismal Covenant. 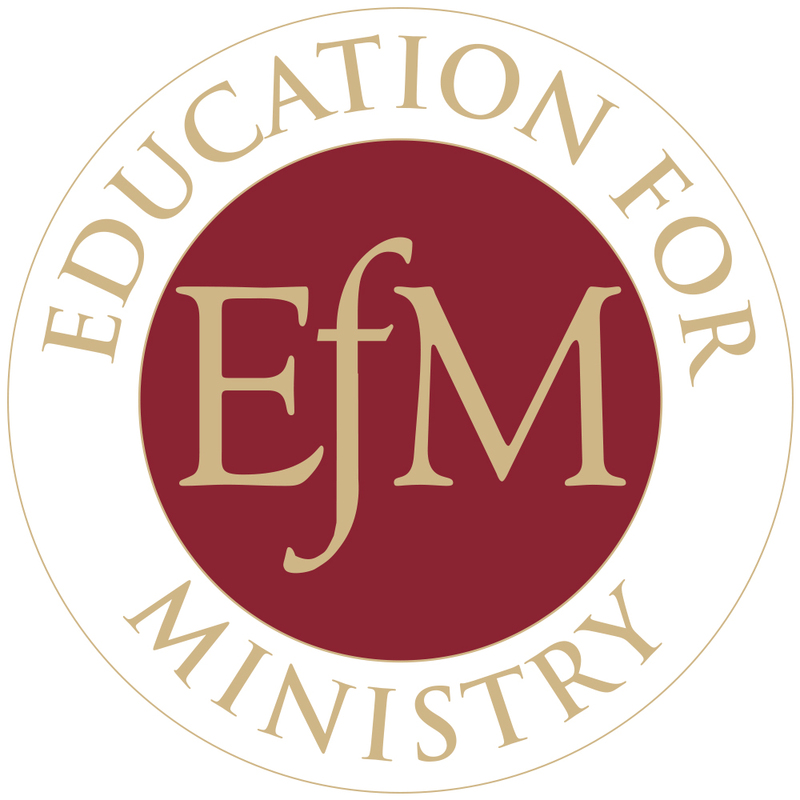 Review both the training content and the process that the Diocese of Michigan used to develop materials and to train teachers to lead these courses. Leaders: Vicki Hesse is the Director of the Whitaker Institute for the Diocese of Michigan. As a parish priest, she implemented safe church processes in two dioceses previously. Now on Diocesan staff, her role is to oversee the development of revised Safe Church training and to assist congregations implement the new model policies. Tim Spannaus is a lecturer at Wayne State University where he teaches instructional design and development, competency development, and other aspects of teaching and learning. His involvement in the Competencies for Deacons Working Group of the Association of Episcopal Deacons has been instrumental in training and forming deacons in the Episcopal Church. Leaders: Lydia Bucklin serves as Canon to the Ordinary for Discipleship and Vitality in the Episcopal Diocese of Northern Michigan. She was formed from a young age in baptismal, collaborative ministry and currently works with congregations and communities of faith in the Upper Peninsula of Michigan to discover creative new ways of being church in the world. Lydia spent 10 years in ministry in the Episcopal Diocese of Iowa where she worked in the areas of children & youth, young adults, evangelism, and new initiatives. Frederica Harris Thompsett is a well-known lay leader, Dr. Thompsett has devoted her life to education and formation in the Episcopal Church. For almost 40 years Dr. Thompsett has taught history, theology, and preaching at the Episcopal Divinity School, where she also served as Academic Dean for 14 years. She is the author of several books on the history and leadership of ordained and lay women and men. Leaders: Sue Elliott has spent her career working with this population through Special Olympics. Gar Demo has been a priest for over twenty years and led St. Thomas the Apostle in Overland Park, Kansas as rector for the past twelve. Wait! Where Have All the Volunteers Gone? Perhaps one of the most frustrating things in ministry is getting volunteers to say yes and then show up. In this workshop, attendees will be better equipped to recruit, train, and encourage their volunteers, no matter the role. If you struggle to get volunteers and are left scratching your head as to why, this workshop will help! What is a communications strategy and why does my church and ministry need one? Participants will gain ideas and resources on how to create and implement an effective communications strategy that is in line with your church’s mission and priorities. Do you struggle with keeping everyone in the loop about all the things going on in your ministry? This workshop is for you! “But we’re a smaller church!” If you’ve uttered those words or heave heard others around you vent or lament something similar, this is the workshop for you. There are unique pros and cons to being a smaller church. Participants will learn to leverage their “smallness” and gain insights into facing the unique challenges. How to gain critical mass is just one topic that will be addressed. For most Christians who come from a Roman Catholic background, being a Christian means, above all, that they were baptized and confirmed in the Catholic Church. Latino Catholic families invest time, effort, and even money as they prepare for these and other rites of passage. 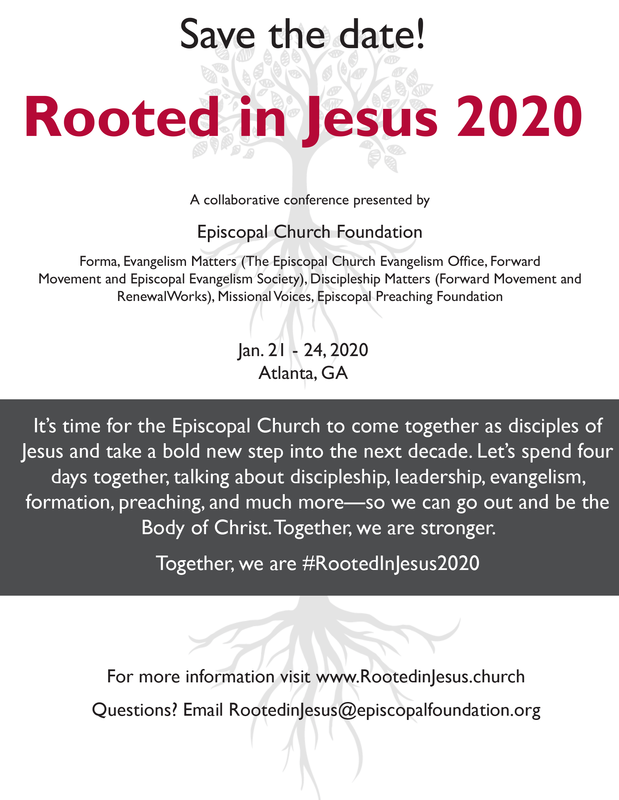 In this workshop, I will give you examples of how you can harness all this energy into stronger commitment and deeper discipleship in an Episcopal context. Leader: Hugo Olaiz is an associate editor for Latino/Hispanic resources in Forward Movement. What’s the forecast for your financial future? The outlook is brighter when you’re financially well. Financial wellness occurs when you’re able to save for goals, manage hardships, and enjoy a standard of living that’s right for you. That’s a real possibility if you have the tools to make it happen. In this workshop, clergy and lay employees will learn the skills needed to become financially well. Utilizing four connected steps, participants explore their current financial situation and uncover ways to become more financially secure. If you are unsure of your financial horizon or would like to clarify your plan for financial wellness, this workshop can help? Click here to hear Susie McNiff share her experience after attending the Four Steps to Financial Wellness workshop at Forma 2018! 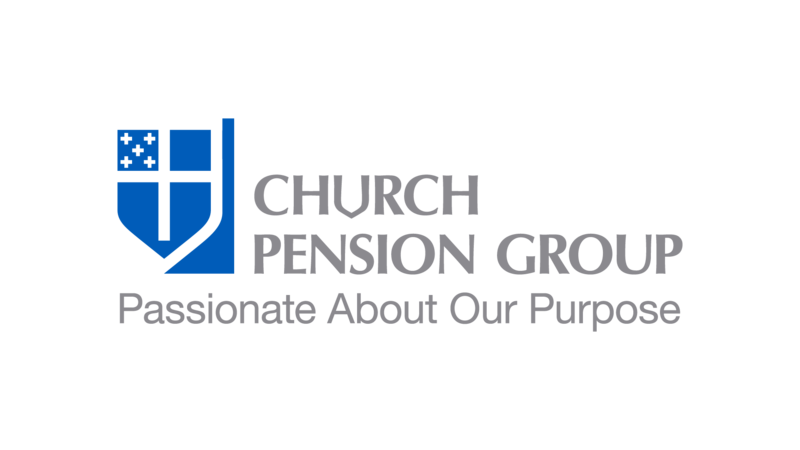 Leader: The Church Pension Group (CPG) provides retirement, health, life insurance, and related benefits for its clergy and lay employees. CPG also serves the Episcopal Church by providing property and casualty insurance as well as book and music publishing, including the official worship materials of the Episcopal Church.